It’s not a President’s holiday party without some alluring bewitchment from the Visual Presentation and Exhibition Design department. The scene’s creators, professors Anne Kong, Mary Costantini and Glenn Sokoli are seen here getting the cold shoulder from their well packaged ice queen mannequin. Inside, President Brown gave staff and faculty a very warm reception with many tasty treats from sweet to savory! Mary Costantini, Anne Kong and Glenn Sokoli with their ice queen! Wishing you a great year ahead! Thank you President Joyce Brown! 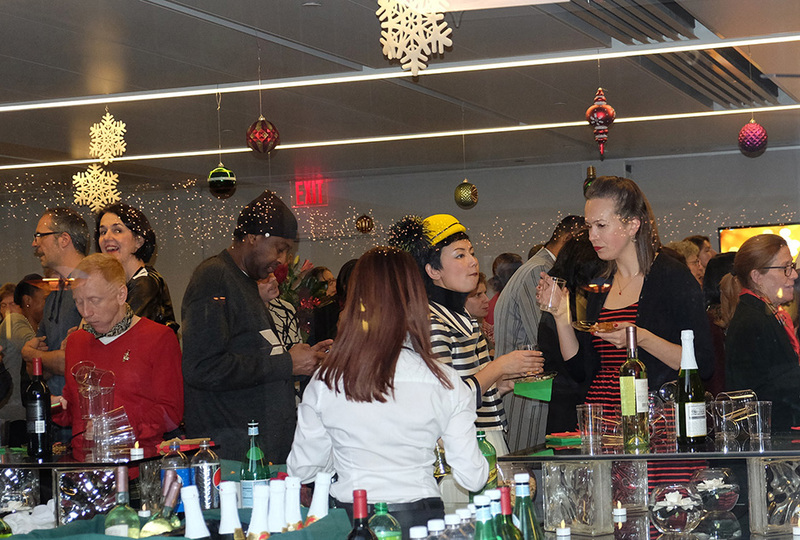 This entry was posted in Event and tagged Anne Kong, Glenn Sokoli, holiday party 2015, Mary Costantini. Bookmark the permalink.